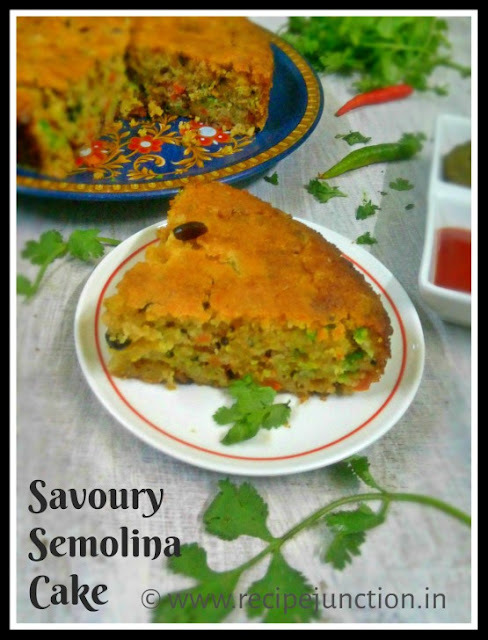 I've posted many sweet baked goodies on this space already but never posted a savoury one. 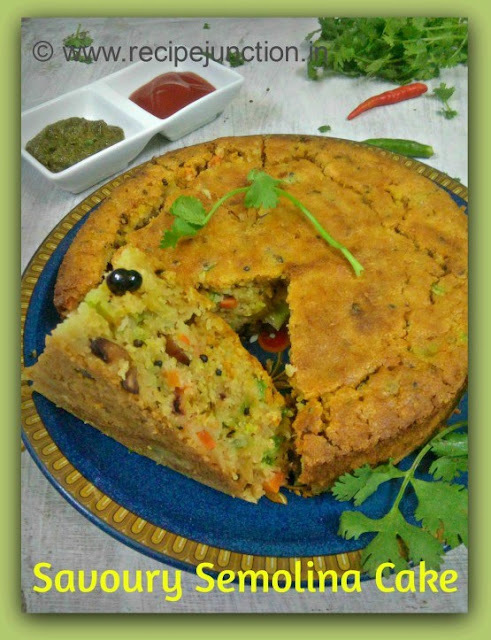 So, today I'll be sharing a savory cake which can be consumed as a breakfast dish or with a cup of hot tea in the evening. 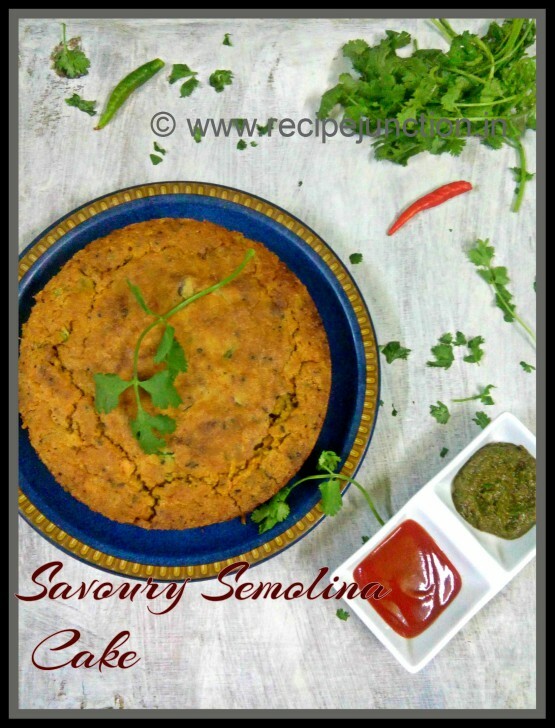 Loaded with vegetables and semolina or suji, it is definitely a filling and nutritious meal in itself. The good thing about this bake is a novice baker can also bake this and it takes around 40 minutes to bake. Another good thing about this cake is you can incorporate this cake according to your preference. Ok, I'll tell you in details. Here semolina is soaked up in yogurt and a little bit of water. Then you can add varieties of vegetables like carrots, capsicum/bell peppers, green beans, green peas, corn etc. in the batter. I have also added some fried peanuts into the batter just like I add them in UPMA(a dish made with semolina). And then prepare a tempering or tarka of mustard seeds, cumin seeds, sesame seeds(optional), asofoetida, green chillies, curry leaves etc. (here also you can add or omit ingredients according to your choice) and add this tempering directly into the batter. You can already imagine the flavour, right? Exactly, this is charm of this cake, any Indian can vouch for this tempering without even making it. Mix with the batter, pour into the baking pan and within 30 minutes the magic will happen. You will get the flavour in each and every bite of yours. Serve it with mint-coriander chutney, preferably or even with ketchup. Sesame seeds : 1/2 tsp. Vegetable oil : 2 big tblsp. In a mixing bowl, take semolina, add yoghurt and little water and mix well everything. Keep aside for 10 minutes. In the mean time, prepare/cut all the vegetables. Then add all the vegetables in the mixing bowl. Add salt, sugar, fried peanuts and baking powder. Mix well. Keep adding water till you have a semi-thick batter. Do not add too much water at a time. Now prepare the tempering. In a frying pan, add 2 tblsp. 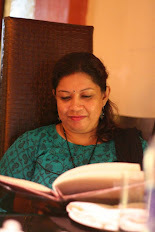 oil, when hot lower the flame and add cumin seed first, then mustard seeds, green chillies, asafoetida, curry leaves and sesame seeds if using, when seeds start to crackle and splutter, remove from fire and pour over the prepared semolina batter. Mix well immediately to incorporate the tempering flavour into the batter. Preheat your oven to 180 degree C/350 degree F. Prepare a loaf tin or a spring form or any baking pan, layer it with a baking paper. Spray little oil over it. When oven has heated up, add baking soda into the batter and mix well again one more time. Pour into the baking pan. You can sprinkle some extra sesame seed over the batter and bake for 35-40 minutes or a toothpick inserted into the center of the cake comes out clean. Remove form oven and let it cool on wire rack on room temperature. Cut when it is completely cooled off, otherwise it may break.